Friday’s Champions League draw served as a minor distraction from the importance of Saturday’s clash with Watford at Anfield. As one of just four Premier League fixtures this weekend, Liverpool can leapfrog Tottenham back into third place and divert the pressure back to Mauricio Pochettino’s side, who recently learned they will be without Harry Kane for a month. Watford’s inconsistency persists to foreground them as dangerous opponents at a stage where the slightest mishap threatens to damage top four ambitions. Liverpool will deem themselves unfortunate to have left Old Trafford empty-handed last weekend, though that frustration will undoubtedly fuel a desire to get back to Anfield and make amends. Jurgen Klopp need not make drastic changes to his team, but will likely look to rotate in aid of not only preserving legs but injecting a fresh impetus as a means of boosting the competition for places. 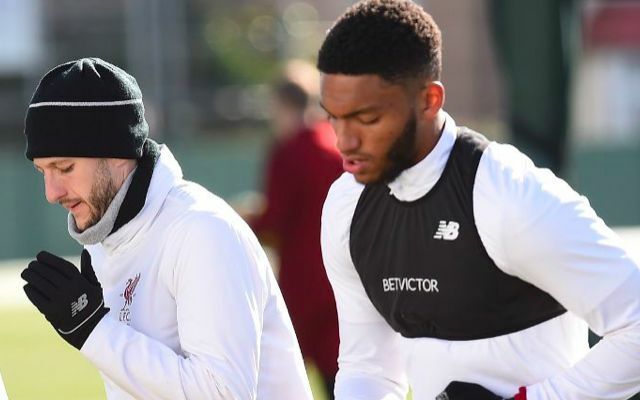 The most notable switch could come at right-back, with Joe Gomez vying for Trent Alexander-Arnold’s place in the starting lineup having been absent for the previous five league outings. Gomez has been solid at home throughout the season and could be favoured as a more defensively-inclined alternative after his young teammate’s tough afternoon up against Marcus Rashford. It was by no means a struggle for Alexander-Arnold against Jose Mourinho’s men, but instead another valuable experience against an undeniably talented opponent. Uncertainty over whether the pair will be swapped stems from Klopp’s likely wish to express his faith in Alexander-Arnold after his testing visit to Manchester. Elsewhere, Virgil van Dijk could see his centre-back partner change yet again with Joel Matip pushing to take the place of Dejan Lovren – who came under criticism for his uninspiring performance up against Romelu Lukaku last week. Ragnar Klavan is another option, although his lack of game time in recent weeks could work against him on this occasion. At first glance, Emre Can looks a leading candidate to play from the off as Klopp strives to enhance his rhythm after starting the German in each of Liverpool’s last eleven league games. The 24-year-old has been a prominent figure amid his manager’s rotation, flourishing as a no.6 in Jordan Henderson’s absence and maintaining his influence since the captain’s return. Can could again lineup alongside Henderson as two of the midfield three, with both offering an ability to dictate possession against a Watford team likely to try and impose its physicality. The third member of Liverpool’s midfield trio remains up for debate, although a home fixture seemingly paves the way for Georginio Wijnaldum to re-enter proceedings as he looks to rediscover his top form. A dip in performance levels has seen the Dutchman play second-fiddle to the likes of Alex Oxlade-Chamberlain and James Milner of late. As for Liverpool’s front three, need you ask?